This week is unusual because Melissa couldn’t make it and Tim was forced to be the movie expert. This proved difficult as it was only his second time watching the film! 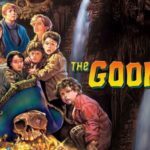 He and guest Kelvin Hatle do their best as they watch a favorite of many people who were children in the 80’s – The Goonies! Produced by Steven Spielberg, this film feels incredibly dated if you weren’t into it in the first place. Still, it holds a place of affection in the hearts of many so we take a look at what makes it tick. Next up is…we don’t know! Whatever movie wins the Academy Award for Best Picture. We promised you Goonies but we had a scheduling mix-up so this episode brings you Exit Through the Gift Shop instead! This documentary produced by acclaimed street artist Banksy starts out as a documentary about finding Banksy but then it turns into something quite different. Tim is our newbie for this one and he spends much of the episode talking about what people are willing to pay for art. Like so many documentaries, what makes this one memorable is not the movie that they wanted to make but the movie that they stumbled into making. 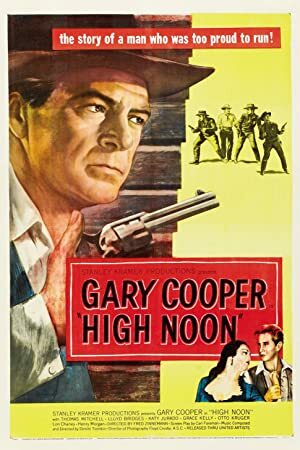 Next up, we are going to watch High Noon! 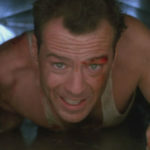 We conclude our Crime Spree series (for now) with the ultimate Christmas action movie – Die Hard! Elliot James is our unsuspecting novice and he joined us to watch Bruce Willis and Alan Rickman chew scenery and destroy a building. This child of the Rambo genre actually created a genre of it’s own (the “Die Hard in a…” genre) and established the superstar cred of both Rickman and Willis. Elliot was surprised to enjoy the movie and there is a good chance you might be too! 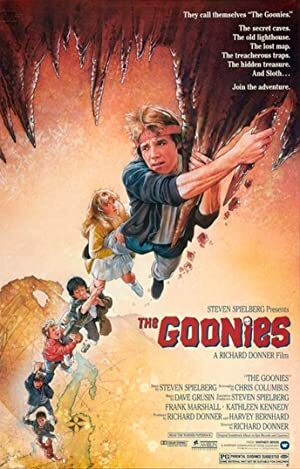 Up next, we are going to stay in the eighties and watch The Goonies! 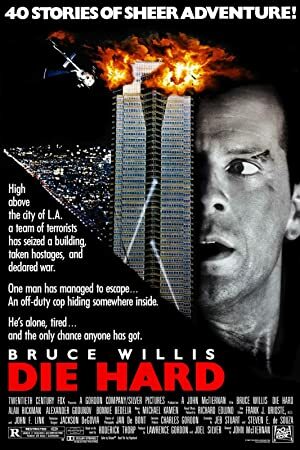 Plot: An NYPD officer tries to save his wife and several others taken hostage by German terrorists during a Christmas party at the Nakatomi Plaza in Los Angeles. 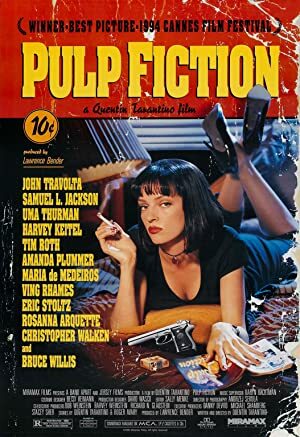 We continue our crime spree (or crime wave depending on what Tim decided to call it this episode) with the groundbreaking Quentin Tarantino film Pulp Fiction! This movie was so important that we had to get two guests to watch it with us! The first is newcomer Patrick Fisher and the second is Tim’s now eighteen-year-old son Alex Wick! 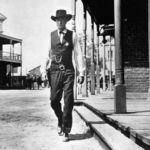 We watch the film and then talk about how it transformed filmmaking and production in the two decades that have followed. Next up, we are going to continue with crime films and also watch some more Bruce Willis as we watch Die Hard! 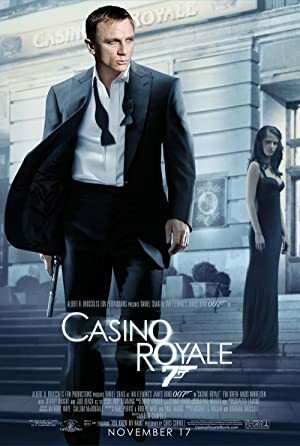 Plot: The lives of two mob hitmen, a boxer, a gangster's wife, and a pair of diner bandits intertwine in four tales of violence and redemption. We continue our focus on crime films with a look at Dog Day Afternoon. 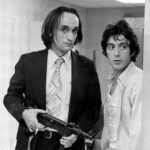 John Cazale and Al Pacino star in this look at a bank robbery that goes both comically and tragically wrong. Based on a true story but filled with impressive improvised scenes, the movie represents Pacino at the height of his movie star powers. Jason Kruger joins us to watch the film and he knows, basically, nothing about it at all. If you are like Jason, it is time for you to give this movie a look! 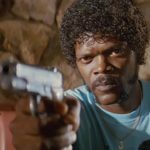 Next up, we will finally watch Pulp Fiction! Plot: Two grifters team up to pull off the ultimate con. 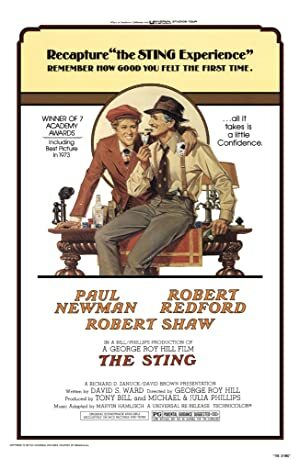 Semi-regular guest newbie Barb Lind is back and this week, we are watching The Sting with Robert Redford and Paul Newman! 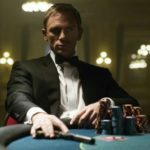 The film has lots of twists and turns and if you enjoy that sort of thing, we’d recommend watching the movie before you listen to the second half of the podcast. We actually always recommend that but in this case, you may well be sorry if you decide to skip into the spoiler filled portion of the episode without taking the time to watch the movie first. This Oscar winner for best picture is a lot of fun and if you’ve never seen it, be like Barb and fix that immediately! Next up, we continue our movie crime spree with Dog Day Afternoon! 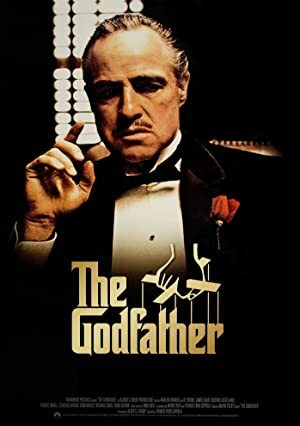 Our next series of films is going to be the crime series and we start with one of the most classic movies about American gangsters you can find, The Godfather! 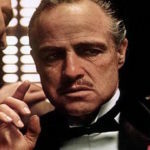 Marlon Brando, Al Pacino, Talia Shire, James Caan, Robert Duvall and…you get the idea. Directed by Francis Ford Coppola, this film is genuinely iconic. 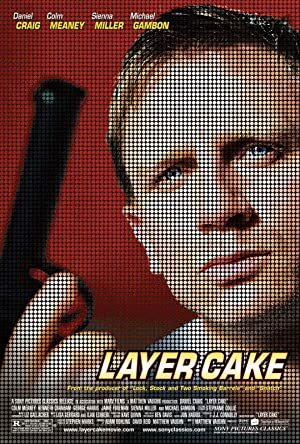 Even if you haven’t seen this movie, you’ve probably seen several dozen parodies of the film. 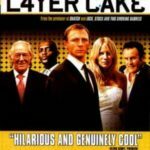 Our newbie and sometime regular Barb Lind had somehow never seen the movie so we treat her to a first time with the Corleones. 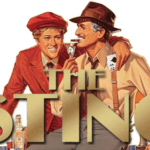 Next up, we continue with he crime theme as we watch The Sting.